Although I'd love to think that love is a year-round thing, you can't blame me for mulling over the idea just because it's almost February. With that, let me share with you my holy grail of red lipsticks. This is just so amazing, I don't see anything wrong with it. 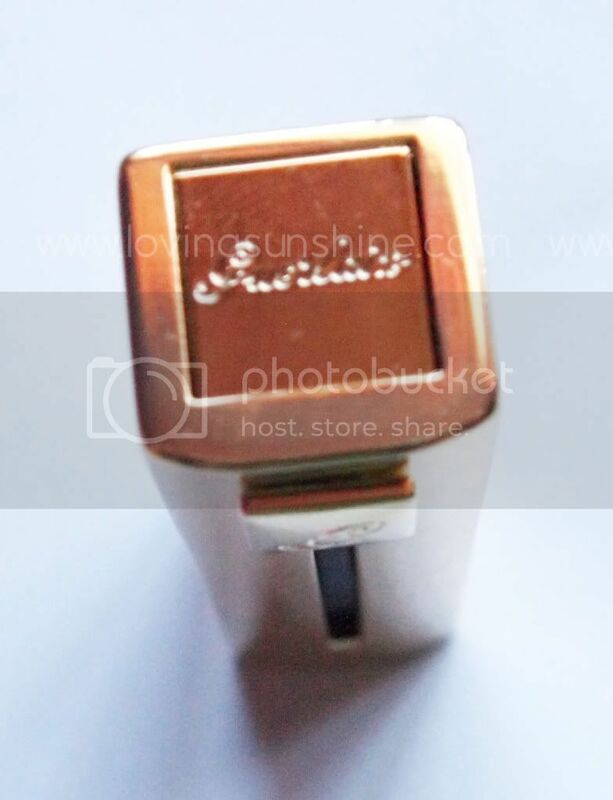 It's from Guerlain, it's from the Christmas 2011 collection and it's the Rouge Automatique 121 lipstick. I was supposed to upload a photo of the tube while it was brand new but I can't find the file I hosted. I've been having problems with photo hosting actually. See I've used up Blogger's hosting services and my photobucket monthly bandwidth has been, should I say, always full so I fear that sooner or later I might have to pay for it! Unless, well unless you have recommendations. What photo hosting site would you recommend? Anyway, I've been using the Rouge Automatique lipsticks the whole holiday season because it's the best red lipstick to paint the town red with. I sometimes top it with a glitter gloss to make it more festive especially because last Christmas season was all about sparkling beauty, but this coming Valentine's month, I'm excited to just whip this baby out as it is: a fierce red color. Besides, red was not made the color of love and passion for nothing. Before I share with you swatches of my red lipstick HG, let me share with you my other reasons for letting myself fall entirely in love with this tube. Keep on reading and you'd find my swatch for Guerlain Rouge Automatique lipstick in 164 at the very end of this post.. 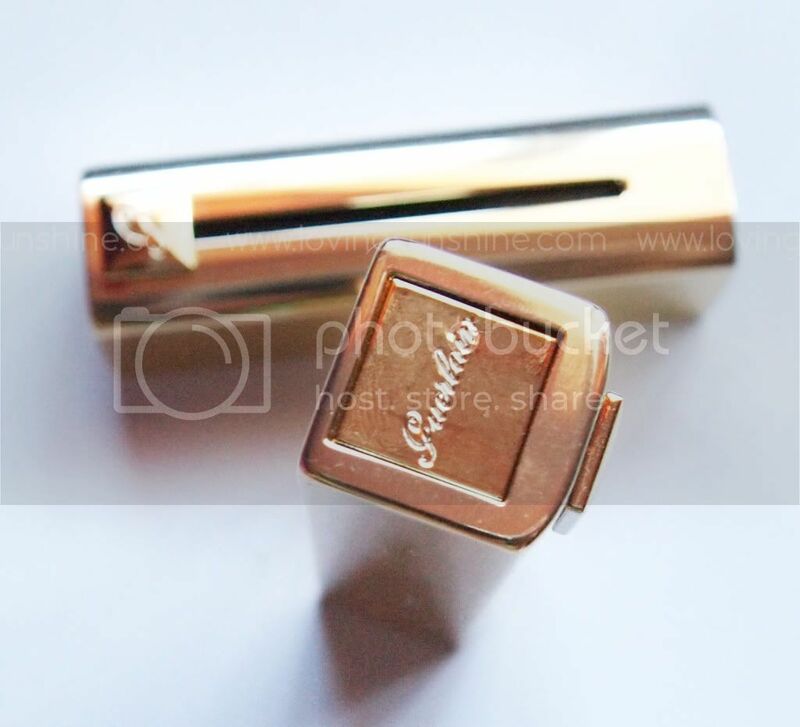 I love Guerlain Rouge Automatique lipstick in 121 because I love how timeless the gold case is! I have two Rouge Automatique lipsticks, thank you Sigrid! and just look at how timeless and glamorous they are against natural light! 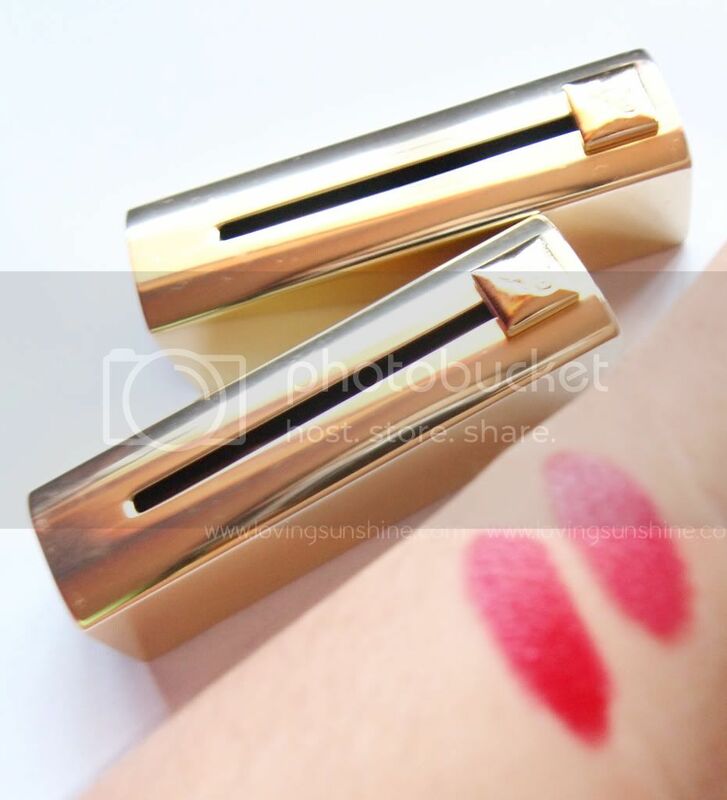 I love Guerlain Rouge Automatique lipstick in 121 because the tubes are conversation pieces. 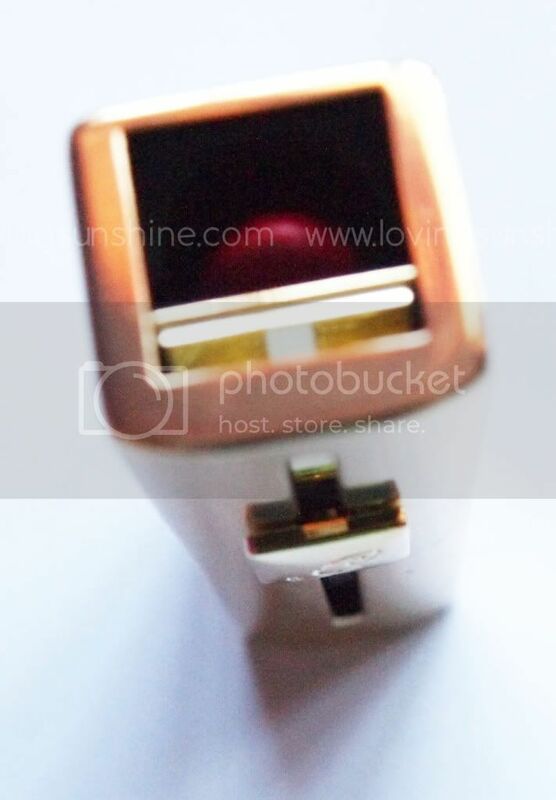 Despite being "timeless", the gold casing is also very hip and modern. Why? 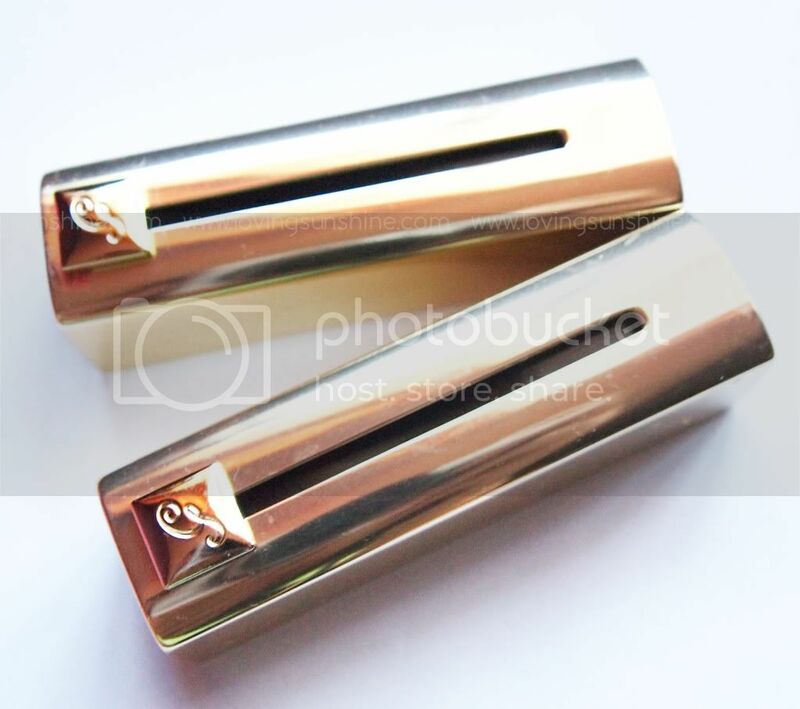 Don't you notice how the lipstick case has no cap? Well, judging by the name, you're right to quickly assume that the lipstick has an automatic mechanism, similar to your loved auto-liners, which make them so convenient to use. These tubes are great for those who love to travel and attend events as these lipsticks don't take up much space in your kit and you won't also have to worry about losing a cap and damaging the lipstick because, voila, it has a modern "push-up" case mechanism. Here's where the bullet pops out. I love Guerlain Rouge Automatique lipstick in 121 because it doesn't stain my teeth. It isn't messy to work with and I just don't like how some red lipsticks are just all over the place! I love Guerlain Rouge Automatique lipstick in 121 because during the day, when I want to tame it down, I can use the lipstick as a stain and I end up enjoying a just-bitten look. The lipstick's just so versatile. I love Guerlain Rouge Automatique lipstick in 121 because it glides on smoothly and makes my lips look "younger and healthier". Doesn't it annoy you how some lipsticks end up emphasizing your cracked lips (if not also causing your lips to crack) so you end up looking beat and disgruntled? Well, the Guerlain Rouge Automatique even leaves a very moisturized and noticeable softness to my puckers I end up smiling more often and more comfortably. 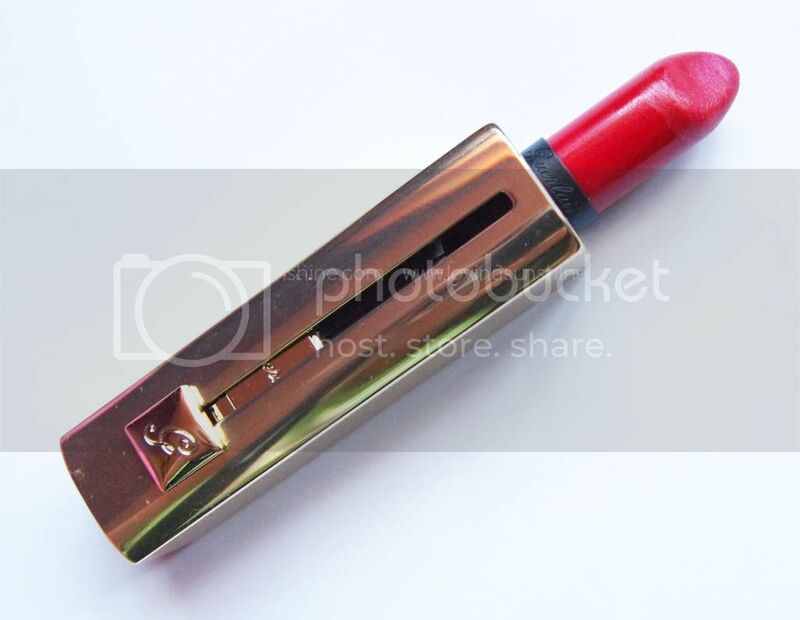 I love Guerlain Rouge Automatique lipstick in 121 because it's very pigmented. I would let the photos speak for themselves. These photos were taken indoors but with natural lighting peeking through my window. Me wearing Guerlain Rouge Automatique 121. See, I told you. It leaves a very healthy plump lips to smile with. My lips are not perfect but check out how it healed and even hid any signs of cracked lips. Me wearing Guerlain Rouge Automatique 164. For those who don't like to wear red too often, you could try out this pinkish-red shade instead. Funny how it's surely red as a tube but every time I wear it, I notice warm pink all over. So, what do you think? If you're curious to try these tubes yourself, you can visit Guerlain counters at Rustan's Makati and Rustans Shangri-la. If you do visit the counters, don't forget to also try out their famous Meteorites collection. I'm currently using picasa albums to host my pictures. After I run out of space, I'll probably pay for Flickr's service because their quality is way better than any hosting site I've ever come across! Thanks for the tip Eileen! I'm using photobucket's free hosting service now but if I continue growing LOL my monthly bandwidth use quota would not be enough as it's just 10gb a month! :) i'll check out flickr. thank you sweetie! i hope you try out bold colors this year! That's the plan, dear! Reds and oranges ;) That's why I am looking for a good shade of red for me. When I get my red, that's when I start looking for an orange haha!